With the announcement of the Apple Watch Series 4 came Cupertino's biggest commitment to consumer health yet. As Apple listed off new features including a built-in electrocardiography sensor and fall detection I couldn’t help thinking: Fitbit should have got here first. This is right in Fitbit’s wheelhouse. The company has built its reputation as a wearable health tech leader, and despite a lot of promises around exciting new health features like atrial fibrillation detection (a feature of the Apple Watch) and sleep apnea tracking, nothing has materialized. Even the Dexcom glucose integration with the Ionic, promised a year ago, is still MIA. Apple has officially taken a commanding lead. But Fitbit, it seems, has another plan up its sleeve. This week, the company announced a new service called Fitbit Care, which is designed to keep users on top of health plans. Fitbit Care is designed to be used by businesses and health care providers to keep an eye on employee and patient health. As part of this it’ll be expanding its partnership with health insurance company Humana, making Fitbit its preferred health coaching platform. 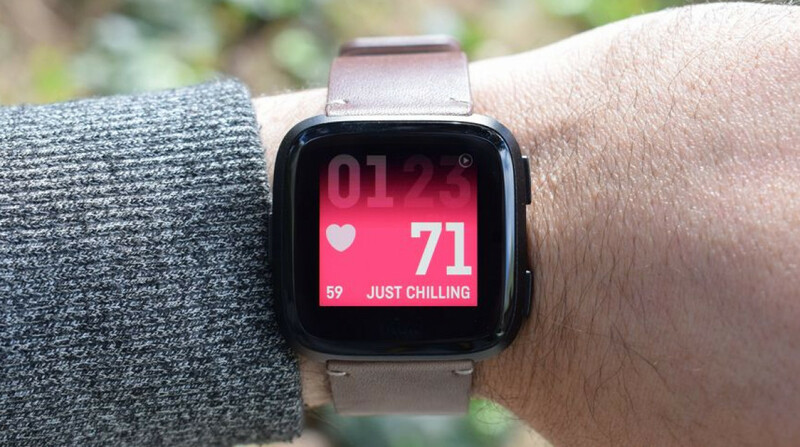 Users can connect medical devices like blood pressure monitors to the new Fitbit Plus app, which works as a hub between them and their doctor. Companies can also arrange one-on-one coaching and guidance through the app, allowing companies to help those employees with diabetes or other conditions. The idea is to keep users on track with their health goals, whether that’s keeping on top of a condition or just sticking to a fitness regimen. It could prove incredibly lucrative for Fitbit. It’s become clear that competing with the world’s richest tech company in the consumer wearable space alone isn’t going to work for Fitbit. As the Apple Watch is hastily morphing into a fashionable medical device (I would argue it’s not a “medical wearable” just yet, but it’s in transition), Fitbit is hedging by moving into the medical space and leaning less on device sales. The enterprise space is a gold mine for Fitbit to tap into, but it also means it can be regarded as a serious medical device maker - a title Apple is earning by way of new smartwatch features. Now that Apple has found its groove with the Watch, it’s going to become harder for others to compete. While Apple has already started budging into corporate wellness, Fitbit Care is much larger in scope than anything Cupertino has done so far. Its support for a variety of different conditions is impressive, and the idea of keeping medical costs down for employees obviously appeals to businesses. As we wait on a seemingly endless list of promises from Fitbit on its wearables, it needs to look elsewhere to stay alive. Fitbit Care looks like a savvy way to do that.